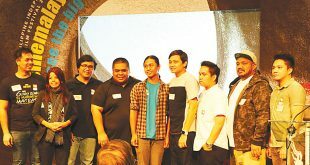 Ballet Philippines (BP) will revive choreographic gems with Filipino stars from various international dance companies in the first production of its 48th season, titled A Gala Celebration, at the Tanghalang Nicanor Abelardo (Main Theater) of the Cultural Center of the Philippines (CCP) from August 18 to 20, 2017. Film fans have a lot to celebrate this August, thanks to two festivals—one, on its 13th year; the other, on its very first—that not only highlight the variety of the participating movies, but also the unshakable commitment of the filmmakers to tell their stories with little or no compromise or regard for commercial concerns. 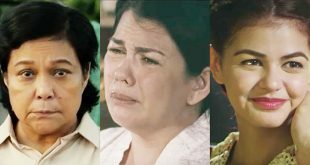 The 43rd Metro Manila Film Festival (MMFF) may be less than six months away, but it has already found itself embroiled in yet another controversy. As of this writing, it appears there is little chance of it dying down anytime soon. 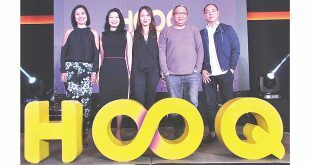 HOOQ, the largest video-on-demand service in Southeast Asia, announced that it has added director Erik Matti to the judging panel of its recently formed HOOQ Filmmakers Guild competition in an event held at the B Hotel in Quezon City on July 3, 2017. 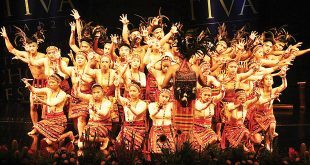 The Cultural Center of the Philippines (CCP), with the support of the National Commission for Culture and the Arts (NCCA) and the Tourism Promotions Board (TPB) of the Department of Tourism (DOT), will present the 3rd Andrea O. Veneracion International Choral Festival (AOVICF) at the Tanghalang Nicanor Abelardo (CCP Main Theater) from July 20 to 23, 2017. 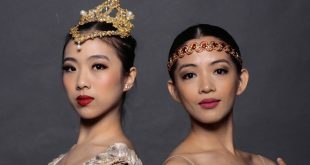 The Philippine Ballet Theatre (PBT) will mount La Bayadère (The Temple Dancer) at the Cultural Center of the Philippines’ Tanghalang Nicanor Abelardo (CCP Main Theater) on July 15 at 3 and 8 p.m. and July 16 at 3 p.m.
By Alvin I. Dacanay The Philippines’ acknowledged superstar Nora Aunor and two members of her family received Gawad Urian nominations last week from respected film critics’ group Manunuri ng Pelikulang Pilipino (MPP), which revealed that the top winners of various film festivals here and overseas dominated its list of nominees for 2016. 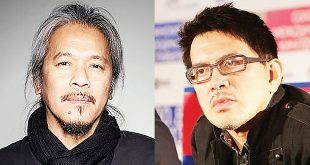 Award-winning directors Lav Diaz and Brillante Ma. Mendoza are among the 774 international film artists and executives invited to become members of the Academy of Motion Picture Arts and Sciences (Ampas), the American film organization that holds the Academy Awards, it was learned last week. The Japan Foundation Manila (JFM) is celebrating the second decade of Eigasai by showing this month 20 diverse features, most of which—including an Academy Award winner for best foreign-language film—will be screened at the Shangri-La Plaza’s Shang Cineplex in Mandaluyong City from July 7 to 16, 2017.